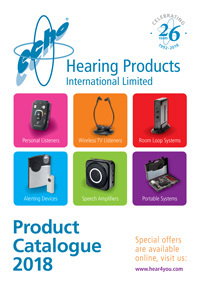 Here at Hearing Products International, we are proud of both the high quality hearing products we provide and the high levels of customer service we offer. Our commitment to aids for living that make a major difference to people’s lives and customer service that helps rather than hinders led to the following unsolicited customer reviews. We hope you’ll similarly find something to help you on the site. We are always happy to help with any enquiries or suggestions you may have about our hearing products. And, of course, feel free to mail your own hearing product reviews if you’ve taken advantage of our services. The Echo MiniTech Pro arrived this morning. We put it together, tried it, then took it over to our sister. Catherine tried it with some over/ear headphones. Her face lit up. She was delighted. We had the longest conversation we’ve had with her for a long time- without having to repeat everything several times. She couldn’t remember what our voices sounded like. Later she listened to her transistor radio without having to hold it up close to her ear. Thank you for all the help you have given us. We really appreciate the time and effort you put into our problem, especially with you being on holiday. Received my battery box, thank you for your excellent service, I will use you again. I bought the personal listener for my wife who has been experiencing hearing difficulties for a while, and not getting much help from audio clinics or suppliers of conventional in-ear hearing aids. It has been a huge benefit to her. She finds it invaluable both in the home and in group meetings and at concerts. We recommended your personal listeners to some friends who are having hearing difficulties, and they, too, are extremely pleased with them and the speed with which their order was fulfilled. I would lke to thank you for the wonderful Echo MiniTech machine, it has changed the life of my sister… I live in an old peoples complex and have been singing the praises of this great piece of technology, so would it be at all possible to send me any brochures you have on these machines…… Once again thank you X. What Service!! My Echo arrived the day after you posted it and one of my friends connected it up for me and after the batteries were charged it worked perfectly. At last I can hear my television now! Thank you so much for all you’ve done. Most impressed with your service – ordered on the Wednesday and delivered to me early Thursday in spite of the bad weather conditions and it being Christmas week! Amazing! Many thanks. You recomended and sold me a MegaLoop™ System which I can report works fantastically with lots of signal available ‘outside the loop’ – this is a great bonus and was easy to install. Many thanks and good comments on an excellent unit. What value do we place on hearing?’ This product has improved the quality of my Mums life to such a degree that she is partaking in every conversation and laughing and joking, which i have not heard for several years. Your prompt service was very much appreciated, Thanks. I have no comments to make, as I find that the help that I have recieved was excellent. Your staff I spoke to were brilliant. Thank you… I couldn’t fault your care and help. Thank you very much. A very quick and professional response, Extremely good and very, very helpful to me, Thank you. I am very appreciative of the customer service you and your company have provided, much better than I could have expected and certainly better than the ‘norm’ experieced these days. The EchoMiniRC™ I recieved is excellent i wish id had it much sooner. Extremely good – next day delivery. Very important when assistance for hearin is involved. Well done!